An ongoing interview based narrative of womanhood, creativity and collectivity by featuring various women and asking them five questions that spark depth, insight, and solidarity. 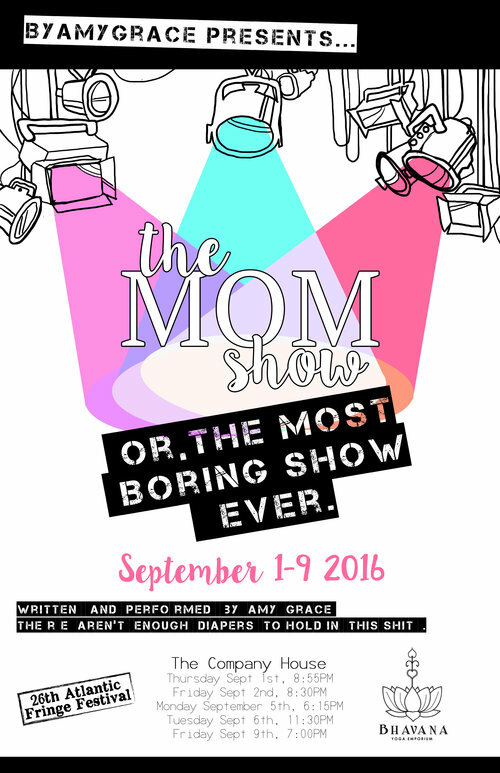 A one woman show featuring a new mom, a yoga mat, and a bit of comedic honesty. From Sukhasana to Shavasana, a mother's yogic flow on stage. While my primary focus is writing, I've found a creative outlet in making content in video/Vlog format. Ranging from motivational to reconnecting with my 'bestie', YouTube is a place I play, try ideas out and have fun! 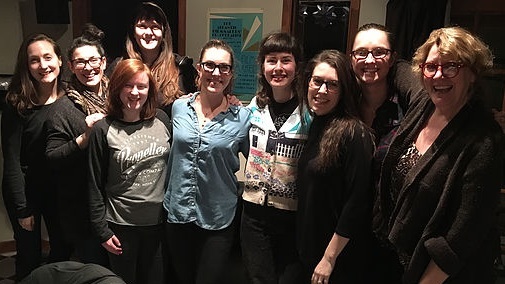 Started in 2013, The Creatives is a group of women who come together to discuss the work and ideas that they have, in a safe and encouraging environment. Working as a creative and innovative person has it's challenges and struggles and this monthly gathering attempts at gaining unity amongst those of like mind and staying motivated throughout. A performance art piece. The making of 57 individual folded up paper snowflakes with a unique inspirational quote inside each of them. The snowflakes were passed out by myself and Jasmine Alexander during the playing of the song "Heaven Everywhere" by Francesca Battistelli during a Christmas Eve Candle Light Service at Gateway Community Church in Lower Sackville, Nova Scotia. When three girls learn to share a bond and rely on each other during their school years what happens when they grow and change into young adults? For The Dramatics Society, it is not what was planned. Writing interviews for the Tidings newsletter. I can't tell you how many times I told my little 4 min story of how my trip to Cuba with the bestie changed me forever & why, but with every retelling there was beautiful gold to be found within the story, its listeners and the atmosphere. Continuously honing my craft by writing material that seeks to communicate honest emotions and experiences in a tangible, intricate and creative way. I am predominately focused on bringing the female voice to the forefront of storytelling and using various mediums to collaborate with other women in the creative industries. Guiding aspiring creatives and creatively driven people in the direction of understanding how creativity fits into their work and life. Giving insight into the implementation of a creative practice while maintaining the integrity of the visioning process. Providing feedback of ideas and processing that factors in an individuals unique needs and style. Prepared and taught various different theatre classes weekly. Focusing mostly on the four - six age range and working on necessary foundational skills such as 'listening, respecting others, turn taking, confidence, character play, story telling and singing'. Alongside teaching, creating and daily preparing each class to deliver a new and unique short dramatic piece that highlighted these learned skills for the parents to view. Providing each client, Deaf and hearing with a cultural, linguistic and meaning based facilitation. Settings I facilitated communication in include: Classrooms K-12, University lectures, college classes, doctors appointments, surgery pre/post op, staff meetings, births, dental appointments, job training, theatre etc. In collaboration with Wanda Lee Burrill-Kowalczyk a victorian presentation of a dramatic reading of A Christmas Carol. Studied all levels of Swing and Blues dance as a 'follow'. Knowledgable in methods of Lindy-Hop, East Coast Swing, footwork, floor-craft, Charleston, 'Doin the Jive' , The Shim Sham and more. An eight month intensive training program to either spring board theatre actors into further training or prepare them for the industry. Intensive study repertoire of theatre movement, singing, dancing, voice and acting. 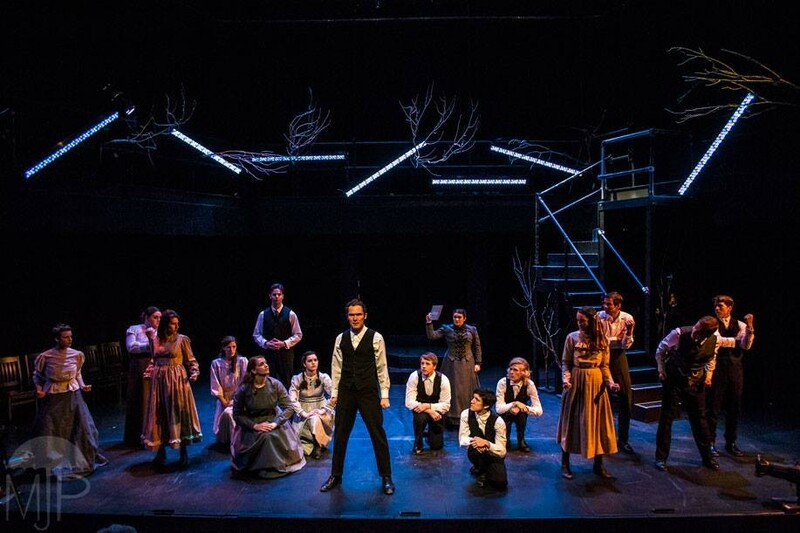 As a small ensemble class we worked specifically together and joined the Musical Theatre Foundations Program to produce and run "Spring Awakening The Musical" as an end of year show. Learned how to analyze spoken and written language for intended meaning as well as analyze other elements of communication; including body language, voice intonation and the surrounding environment. Testing and assessments are spent in front of a recording camera and analyzed for message accuracy and inaccuracies. American Sign Language / English Interpreting training is a very intense process in which you are arguably put to the test everyday to assess how capable you would be to withstand varying degrees of intense situations.